The whole trip in Slovenia beat my expectations drastically. 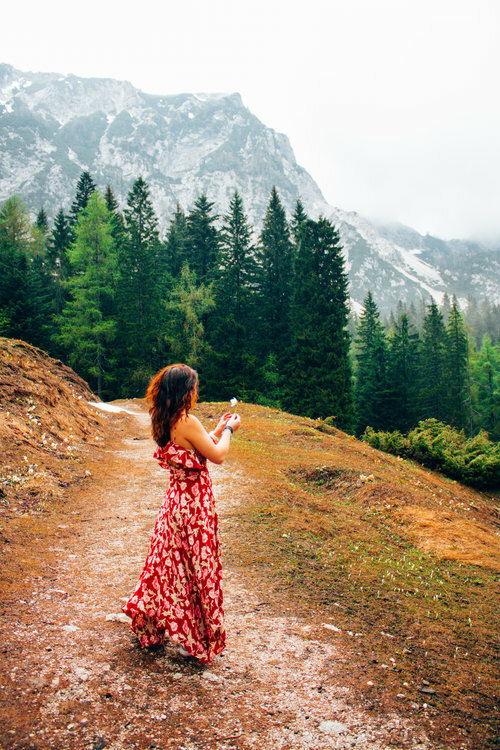 Although I had seen beautiful photos of places like Lake Bled and the Soca River, I really didn't envision the country to be so incredibly picturesque. Snowcap mountains, rolling hills, magnificent lakes and quaint churches are just some of the gorgeous things this place has to offer. If you're going, definitely rent a car as you get to see so much more of the natural beauty. One of the things I loved the most was how untouched it was. Normally when you go away you see fields full of crops or cattle but in Slovenia there are just fields filled with wild flowers and grass up to your knees. I could talk about this place for forever, I think it's one of my new top 5 destinations, but instead here are some pictures for you to see what I'm talking about! Lake Bled is like something straight out of a fairytale book. The walk to Ojstrica was 100% worth the 4am wake up just to see this magnificent sunrise. Despite 10 hours of driving up and down the mountains in thunderstorms and torrential rain, when we got to our last stop of the day, Lake Bohinj we were delighted to see clear skies just in time for the sunset. Hotel to stay in Lake Bled: Vila Bled - Right on lake bled, close to beautiful hikes and gorgeous interior. Places to eat in Lake Bled: Restaurant Sova Bled - We stumbled across this place when looking for food and it was INSANE. The waiters were lovely, the food presentation was next level and obviously it tasted amazing too!